When prepared, it is a deadly liquid poison. 8-10 ounces, swallowed, will kill a man quickly. Should there be a save? That's up to the GM. The Sarboth plant is only found in Kell, which is a province of the Emorian Empire. That lies east of the Vilayet in what is known in the west as Hyrkania. The Queen Sonja comic series, by Dynamite, fills in some of the details of the lands east of the Vilayet. We know, from the early Marvel comics (and Red Sonja's introduction in those same comics) that one of the City States that lays on the east bank of the Vilayet Sea is Pah-Disha. Another, also on the coast, is Makkalet. Sonja grew up, thieving, on the streets of Pah-Disha. The Queen Sonja comics reveal a kingdom named Sogaria, where Sonja takes the throne and becomes queen. She rules from the royal city of Issindi. Farther east, on Sogaria's border, lies the Emorian Empire, which is a collection of smaller kingdoms. Two of these kingdoms are Tirket and Kell. Gabon is the capital of Tirket, while Nicolla is the royal city of Kell. Both these peoples hate each other. Even though they are both members of the Emorian Empire, they have deep, ancestral hatred among the two races. Game-wise, all of the people in this region are Hyrkanians. But, the Hyrkanian race in the core rulebook is geared towards the northern steppe horsemen. An enterprising GM who has read these comics may want to create some splinter races, giving them some differences, treating them the way the Hyborians are treated in the game (an Argosian is different from an Aquilonian, and both are different than Zingarans, etc.). The races in this part of the world of of mixed blood, but there is a strong far eastern influence (from Khitai). 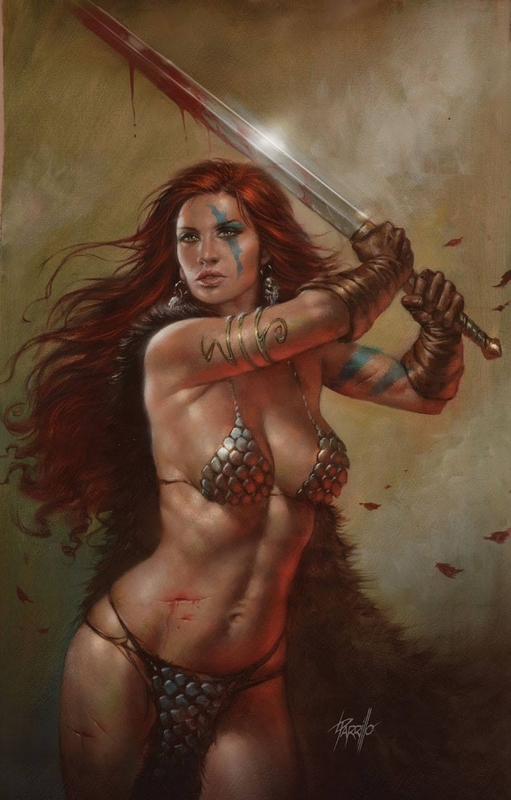 Yet, many Hyrkanians are white and have round eyes, like Red Sonja and Tamara from the 2011 Conan movie. A Hyrkanian city-state is shown at the end of that film. An adviser to the Emperor of the Emorian Empire is an incredibly powerful sorcerer named Solas, who lives in the Tower of Kolistri. Solas consorts with demons, and his art allows him to teleport fairly effortlessly. An area near Emora and Sogaria is the Druid Lands. People never enter that dark realm. It is said that dark magics abound! Antonious it the Emperor of Emora. 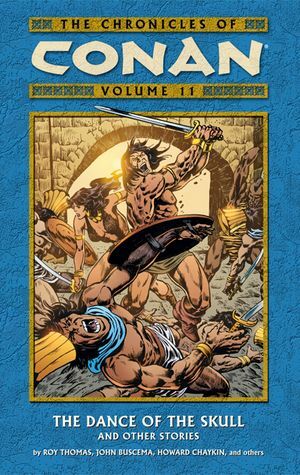 If you want to get your hands on Volume 10 & 11 of the Dark Horse published Chronicles of Conan, you will have not only a fantastic read (these are some of the best Conan stories I've read by Marvel from any date, past or present), but you will also have a grand source of information from which you can build a sandbox adventure for your game! This sandbox will be set in Stygia, featuring two City States--two of the only City States which do not fall under Luxur's rule. In fact, you can add some additional action and/or intrigue to your sandbox by introducing King Ctesphon's efforts to bring these two City States under the rule of greater Stygia. You can bring in Thoth-Amon, too, if you want, and/or some other Sorcerers of the Black Ring. The two cities will mark the East-West borders of your sandbox. On the east side of your map, out in the open, you have Harakht. The city lies south of the River Styx. The terrain is swampy, full of crocodiles and vipers. The city rises where the land becomes more firm, in the valley before the mountains. Harakht is home to the Hawk Riders. These are giant hawks--only a handful of them exist--trained as aerial mounts for the elite riders. This City State is ruled by two brothers, King Hor-neb and the high priest of the hawk god, Mer-ath. There is intrigue between them as Hor-neb is the stronger of the two. He rules by force, while Mer-ath is more subtle, preferring manipulation. Both want to be the sole king of Harakht. Neftha the slave girl, is a schemer. But, you can't blame her. She's been a slave her entire life, and she is interested in two things: Survival first, then bettering the conditions of her life. Can you trust her? Gol-thir is the Keeper of the Stone. He is a giant--a true giant--ironically living in the ground, in the Pit of Shadows where the sacred stone is kept. The western side of your sandbox will feature the mountains behind Harakht. Through a secret mountain pass likes the Lost Valley of Iskander and the City State of Attalus. This place has an interesting background. Alexander The Great founded the place. Somehow--through sorcery or some other means--the conquering king from ancient Greece went back in time with his army and found himself in this valley. He founded a city here, Attalus, and to this day it is ruled by those of the lineage of the Greek General that Alexander left in command of the city. The greek ethnicity of the place is evident to this day, as isolated the city is from the rest of the darker Stygians. Attalus trades with one other City State, the independent Harakht, who endeavors to keep its knowledge of the lost valley secret, per the wishes of the Attalus king. The Eyes of Set are a pair gems, shaped as eyeballs, kept by the rulers of each city. They symbolize the connection each city has with the other. In your game, you can make them magical--it would fit. Each city keeps one of the Eyes. When a new ruler comes to sit on the throne, an envoy is sent to the other city, and the Eyes are exchanged. In this way, Eyes of Set are forever kept separated (what would happen if they are brought together? ), both changing hands for location in the other city. Hun-ya-di is a one-eyed priest from Harakht who lusts to capture Attalus for himself. What if he took an Eye of Set and placed it in his empty socket? Hun-ya-di leads an army of faithful, all skilled with the Stygian longbow. In the comic, he takes this force and attacks Attalus. Bardylis is a blonde female citizen of Attalus. Ablah is a fork-tongued trinket trader from Harakht who traffics with Attalus. At the base of the mountain lies a large swampy region separating Attalus from Harakht. The Viper river flows through this region giving the surrounding thick forested area its name, Viper's Head. It is said that a colony of First Men live, secluded in this area. Viper's Head is also home to several tribes of Kushites, and recent rumor says that these tribes have been united under the Kushite shaman, Toroa, who wields the power of his dark god, Damballah. Sabia is known as the Bride of Damballah, who can mesmerize a man through her Dance of the Skull. Besides the two Volumes of The Chronicles of Conan that I mention above and a copy of the core rules, I suggest you use these other two supplements when creating your sandbox. 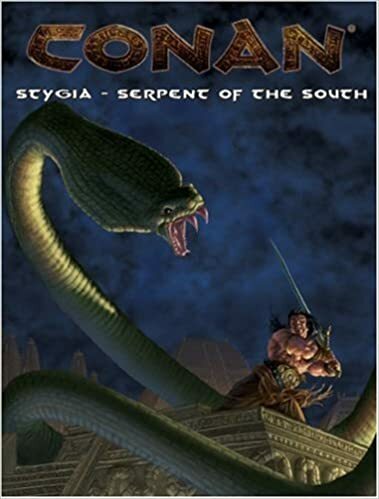 Stygia: Serpent of the South. This is a hardback sourcebook for the kingdom. Bestiary of the Hyborian Age. This is a hardback collection beasties to put into your game. You'll find crocks and vipers and darker, unholy things that are eager to gobble up your player characters. You can combine this with the Bestiary chapter in the core rulebook. The Scrolls of Skelos / Secrets of Skelos. These are two softback books devoted to sorcery. Secrets is a Second Edition re-writing of Scrolls, but it adds so much more material that I consider them two separate books (though there is a good bit of cross-over). Either book, by itself, is helpful. For this is the Dragon's Hour, the triumph of Fear and Night. Just a couple of notes I picked up from reading Dynamite's excellent Queen Sonja series. In the Hyrkanian lands, trained eagles are used like carrier pigeons to fly notes across large distances. One would think that they would be only good for messages from the battlefield back to the castle, as the bird is trained to fly back to its home. How the eagles find generals on a battlefield is not explained. It's a neat idea. I don't think I've ever seen it in a Conan novel or short story. Take the idea as you will, with realism or stretched realism, depending on your tastes. This is a religion, based in the city-state of Gabon, which is part of the region/kingdom known as Tirket (which is part of the Emorian Empire). The religion is fanatical (or has been turned towards fanaticism--you see that happen in the Queen Sonja comics), and basically, it takes three big religions and combines them into one. Mitra of the sky; Crom in his Mountain (of the surface); and Set of the underground (Set's temples are typically under the earth in this part of the world). I've mentioned this a few times. This is a Sword & Sorcery adventure supplement, independently produced, that you can get through THIS WEB SITE. It's not expensive, and it contains TEN adventures, some short, some of medium length, specifically written with the Sword & Sorcery genre in mind. The book is written for the Pathfinder 1E rules, but the great thing is that the author produced a free pdf that you can download from his site linked above that converts all stats in the book to Mongoose's Conan The Roleplaying Game. So the book is, basically, a third party, independently produced game supplement for your Conan game! I bought the hardcopy version from Lulu. Don't let the home-drawn cover turn you off. This book is a BARGAIN, and it is an EXCELLENT resource for your Conan game--especially since there is very little official support for low level play. You can play these adventures one at a time, or you can tie them all together into a grand campaign that will take your PCs from 1st level to 10th. The suggested play area is Shem, but these adventures can easily be transplanted into just about any part of the Known World. The reason I bring this up again is that, as I read through it again tonight, I noticed how much good advice it gives to a new Conan GM for running a Sword & Sorcery game. The book is written to fit in the author's own world of Xoth (which you can download maps and other stuff for using that link above), but, again, this stuff is 95% useful during the Hyborian Age. Typically, you just have to change a name form the Xoth version to that needed during Conan's time. If you are using standard D&D 3E/3.5E rules or Pathfinder, there is a ton of useful advice for tweaking those rulesets from use in a High Fantasy game to a Low Fantasy S&S game. There's new character classes, notes on armor use, notes on sorcery, notes on healing magic, notes on beasties--all sorts of great stuff. I think this section is perfect for use in converting standard D&D and Pathfinder adventure modules to your Conan game. For example, it is suggested that an adventuring group encounter a maximum of two types of beasties during a single adventure. 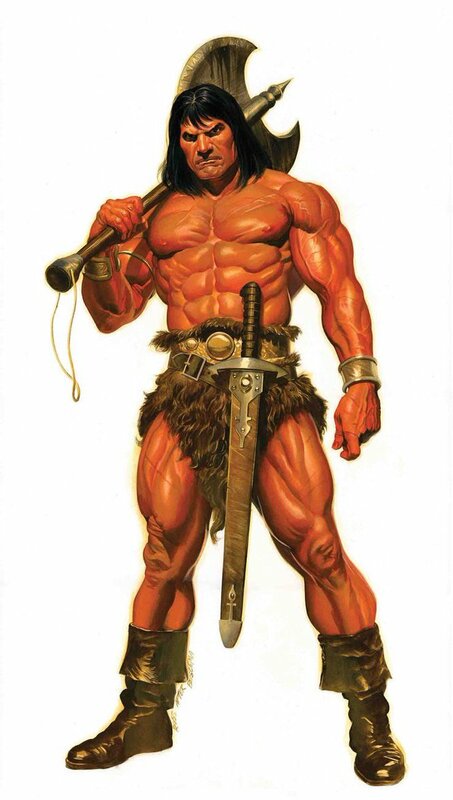 This is to keep with the flavor of Conan stories. He doesn't fight some new creature in every room. Conan doesn't fit into the Keep of the Borderlands--not unless the Caves of Chaos is changed to the lair of a wicked cult where Conan will find, at most, two different types of horrible monsters. Another example is a note on magic. Sorcery in Conan's world is perverted nature. It is rare. Most people have never seen a spell cast, and those that have believe it to be the divine miracle of the god they follow--not a spell. So, the adventure book tells us, make sure to strip out any convenience magic that you will find in D&D adventures. You should open a cloak room and see a row of troll heads, all bitching at each other, being punished by having their heads chopped off and then set on pegs forcing them to have to wait until their bodies grow back (saw that in a TSR adventure once--thought it hilarious--but it has no place in a Conan story). Most traps in a D&D adventure are magical. Make them mechanical. Get rid of Magic Mouth and Hold Portal (or, at least, make it extremely rare when encountered). You get the idea. The bulk of the book are the ten adventures, but you will find notes on equipment and a very useful section providing new powders and drugs that you can directly use in your game. Since Conan games don't have a lot of "drops" (Oh, lookee! A +1 dagger and a pair of Boots of Elvenkind! Just under this haystack! ), mundane things like this are gold. Plus, Conan RPG players must get more creative using mundane stuff since, typically, Conan PC groups don't have even one magical item between them. Another section that you will find useful is the section on the gods of Xoth. 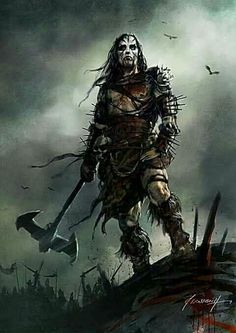 Since the Conan RPG doesn't provide much in the way of detail about the various Hyborian Age gods (even in the hardback book dedicated to that purpose), it makes it very easy to transplant those ideas into your game, change the names, and make that cult or religion come alive in your game. For example, the Cult of the Keepers is highlighted in the first adventure. This is a sect that worships Yadar, the Lord of Death and Secrets in the World of Xoth. 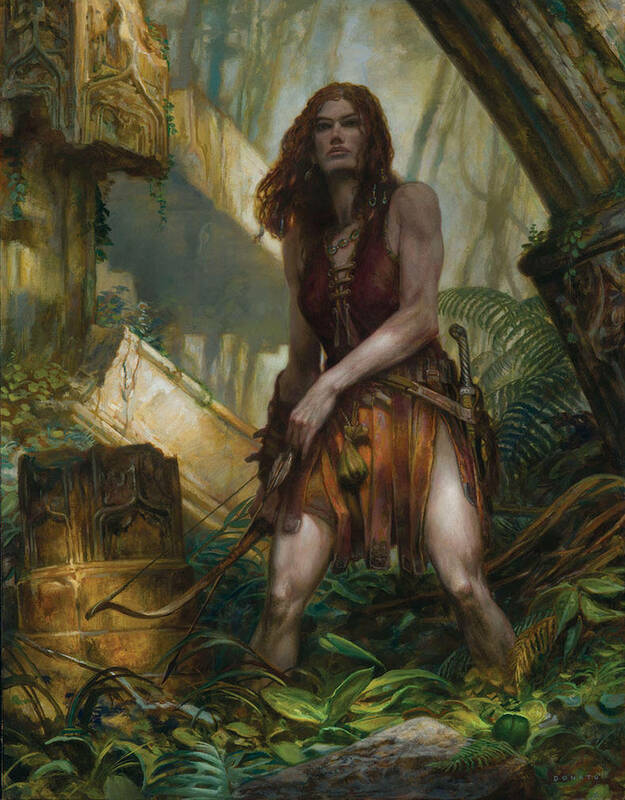 In a Conan game, you GM's out there have a choice. You can keep the name and god of the cult as stated in the adventure, because Conan is always facing some unheard-of-before cult in the various stories. Or, you can easily change these Yadar worshipers to a god that is well known in the Hyborian Age. 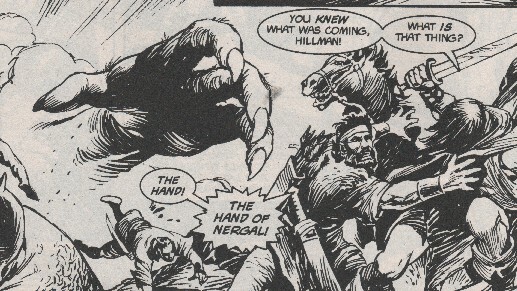 The suggestion made in the Conan-Conversion downloadable pdf is that they become priests of Nergal (or even Mordiggian), which is cool because this gives you a link to the Conan story, The Hand of Nergal. We know little about this god, Nergal. In the game, you can look at the hardback Faith and Fervor, and you can look to see if there is any information about Nergal in the core rulebook. You can check on the net (you might find something about Nergal at the Xoth site, linked above), and you can read Lin Carter's short story, which is based on REH's outline. And, of course, you can just make stuff up. But, to fire your creative juices, why not just import the Yadar stuff presented to you in this adventure sourcebook? I have been working on a sandbox for 1st level characters that I've titled Conan and the Shadows of the Sinn. It is set in Argos, near the border with Shem. The recent 2011 movie, Conan The Barbarian, serves as background for the adventure. The events depicted in that film took place some three years ago. I have elaborated quite a bit on the plot, expanding the ideas provided in the film quite a bit. When I finish it, I may post all of it here for your reading pleasure. Or, I might write it up as play records. We'll see. But, for now, I am just listing some ideas I have in my GM's notebook about the game. You are welcome to steal these ideas (I've stolen some of it from various places as well as made up stuff from scratch) and warp them to your own needs. I think of this as neat ideas that might spur on creative thoughts for other GMs and their games. I won't post a lot--just enough information for another GM to grab it and run with it. Of course, I'll answer questions if you have any. Sorcerer. Member of the Cabal of The Sinn. He served as advisor, teacher, mentor, and elder sorcerer to first to the Witch Queen, Maliva, then to Marique. Maliva’s power grew to a point to where Xul feared her—feared her power would surpass his own. Through secret means, Xul ensured Maliva’s capture in the forests of Ophir, where the Witch Queen was burned alive, her husband and child, in chains, watching. Khalar Zym and Marique escaped captivity in Ophir, rescued by the faithful. The two returned to the Shaipur. Marique’s studies under Xul intensified, though the young girl was no where near at the level of ability of her mother. Marique became convinced that Xul had her mother killed, and the young girl attacked and killed Xul using a silvered, fork tongued dagger. Marique continued to learn on her own, using Xul’s vast library, but her progress has been slow without the guidance of her mentor. Ikhtanabu Xul ruled from his Red Tower in the city of Sa’leen. This is in Argos, on the border of the Shaipur. It is said that the Red Tower fell, completely destroyed, the moment Xul died. Ikhtanabu Xul is a name I nabbed from the adventure The Necromancer's Knife, which is one of the ten adventures included in The Spider-God's Bride. Milo is King of Argos, sitting on his throne in Messantia. Maliva is the dead wife of Khalar Zym in the Conan movie. I made her "The Witch Queen," thinking that she grew to power first, was burned alive in Ophir, and then was succeed by her husband and child: Khalar Zym and Marique. Khalar Zym is the bad guy in the 2011 Conan movie. Marique is Zym sorcerous daughter from the 2011 Conan movie. The Cabal of the Sinn is completely my own creation. Last edited by Supplement Four on Sat Apr 06, 2019 3:39 am, edited 1 time in total. This is currently an Argossean city near the boarder with Shem. It is the sight of a massive battle where King Milo laid siege to the city, not knowing that the sorcerer, Ikhtanabu Xul, was already dead. The city was nearly leveled, and Milo has declared that the name of the place be renamed as “Raize”, no longer regarded as a city, but now as a ruin. Milo has decreed that no person shall ever live in the area again—that Raize is not to be rebuilt into a new city. But, this has not stopped some commoners and others from calling the place home. Today, a small community lives there, in defiance of their King’s order, which is posted at the entrances to what is left of the city. Nergal, a Shemitish god of War, Famine, Pestilence, and Plague, prowls the night, lord of the city of Yadar, in the afterworld land of Aralu, where the dead go after leaving the earth. This god had only secret worshippers and no known temples before the coming of Khalar Zym, who brought the God of Death out into the open. Nergal has been secretly worshipped in Sa’leen for centuries. The cult’s presence became more well known at the Keepers, those who maintain the vast, catacombed tombs beneath the city. Their presence was tolerated by the dominate Mitran faith until that faith was wiped out over the past forty years during Sa’leen’s rule by Khalar Zym. The city’s royalty and money merchants are interred in these tombs under the city. Before the deity of Nergal was discovered as their patron god, the secretive cult members were simply referred to as the Muffled Priests by the citizens of Sa’leen. Yadar is the city in the afterworld where Nergal lives among the dead. It is said that each person who lives on the earth is represented by a black candle burning in one of the temples of Yadar. When the flame of the candle is snuffed out, the person dies. A flame that dies when the entire wick on the candle is consumed has lived his entire allotted life and dies of natural causes. Different individuals have different sized candles. The priesthood guardsmen wear plain, grey and brown tabards over their leather armor to symbolize man’s eternal passing and decay back into the earth. The tabards are tied symbolically with a simple rough rope. The guardsmen in Sa’leen favor the bill. There are no bowmen, but a small number of specialized soldiers are trained instead with the javelin and short sword. Neither type of troop wears a helm. These priesthood guardsmen are called The Mastiga. In Sa’leen, these guardsmen are 1st level Soldiers. The more experienced Belthaarian soldiers are either acting as the home guard in Belthaar, where most of the army is laying siege to Khor Kalba. Lamuran wears leather armor under his grey-brown tabard. He is trained with the arming sword. And, he uses a targe. No helmet. Last edited by Supplement Four on Sat Apr 06, 2019 3:36 am, edited 2 times in total. A cabal of powerful sorcerers who study the true power of Acheron. The sect arose as Acheron was falling. It in an ancient cult. Most think it extinct, and that has become true with the death’s of the Ikhtanabu Xul, the Witch Queen Maliva, and Marique. Khalar Zym was a Shadow Lord—the leader/general of the cabal’s order of guardsmen. The Sinn use a written language that looks like scratches of long lines. It is called Sinnean Line Language. The sect’s secrets are written in this ancient language. It is said that the Sinn are responsible for the terrain around the Argos/Shem border to be near wasteland desert to this day. Priesthood guardsmen for the god, Nergal. Typical Mastiga in Sa’leen favor the bill. There are no bowmen. A specialized number are trained with javelin and short sword. No helms—their heads must be open to the stars. Red Sash: This contingent of Mastiga is captained by a man in his late 20’s named Lamuran. He’s a 3rd level Soldier. Oddly, he has blonde hair that he keeps cut extremely short—to the scalp. The only difference in his uniform kit is that, instead of a worn rope, Lamuran wears a flame-red sash at his waist that both designates him as an officer and symbolizes the flame on the black candles of Yadar. bonus to damage rolls when performing coup de grace attacks. racial penalty to all saves, +2 racial bonus to all Diplomacy checks, Bonus Feat. Skills: Intimidate +4 (4 ranks, +0 Cha), Search +4 (4 ranks, +0 Int). Background Skills: Diplomacy, Handle Animal, Ride. Feats: Toughness, Parry, Weapon Focus (bill) . Possessions: Leather jerkin, bill, 0-8 sp (1d10-2). Plain, grey and brown tabards worn over armor to symbolize man’s eternal passing and decay back into the earth. The tabards are tied symbolically with a simple rough rope at the waist. The rope symbolizes the wick of a black candle in Yadar. The Mastiga employ the use of trained dogs on patrol. Aralu is a dark, nebulous land in the afterlife where the dead reside, in the Shemite pantheon. The city of Yada, ruled by Nergal, is home to the black candles. Possessions: These short-haired dogs are usually painted with the religious symbols of Nergal over their bodies on their coats with a specially prepared, thick paint/dye. The paint is applied in a ceremony. This is a dagger featuring a wide, silver-mirrored, doubled-edged blade that splits into a fork for a double tip. The handle is made of hardwood that has been stained burgundy. Silver wire criss-crosses the hilt, providing decoration and grip. The pommel features a blood-red ruby the size of a man’s thumb to the first joint. This is the weapon that Marique used to murder Ikhtanabu Xul. The name and history of the weapon is largely unknown. This is something that will need to be discovered by the players—maybe a long time later. For those who do know the weapon’s history, it is said that, when Marique made her killing stroke, scratches burned themselves down both sides of the blade. For most, these marks simply look like scratches. But, for someone familiar with the secret writings of the Sinn, it is known that the marks are actually Sinnean Line Language. It is whispered among those who know of the Cymbal that the dagger contains the dying scream of Ikhtanabu Xul absorbed on the last stroke of his murder. This weapon may have undiscovered sorcerous properties. This is a small city state in Shem that lies northeast of Khor Kalba. It forms the most northern border of Khalar Zym’s conquered lands. The people of Belthaar are rebellious, and they hate Zym’s tight fisted rule. After Zym fell, most of Belthaar’s army went south to lay siege on Khor Kalba with the Shemite horde. A troop of men crossed the border west into Argos, occupying Sa’leen. The diety of Belthaar is Nergal, and the city state is one of the few places in the world where that dark god is worshipped openly. Troops from Belthaar have occupied Sa’leen due to the open presence of Nergal in both cities. Belthaar is located north of the coastline and east of the border with Argos. It is a small city state that sits on the west side of the Ophrat river. Together with the similar city states of Zaol and Ghezath, the trio forms an allied area referred to as the Susrah. All three cities feed from the Ophrat as it takes a ninety degree turn for its ocean mouth. “Susrahites” are peoples who come from this region of Shem—from one of these three cities. 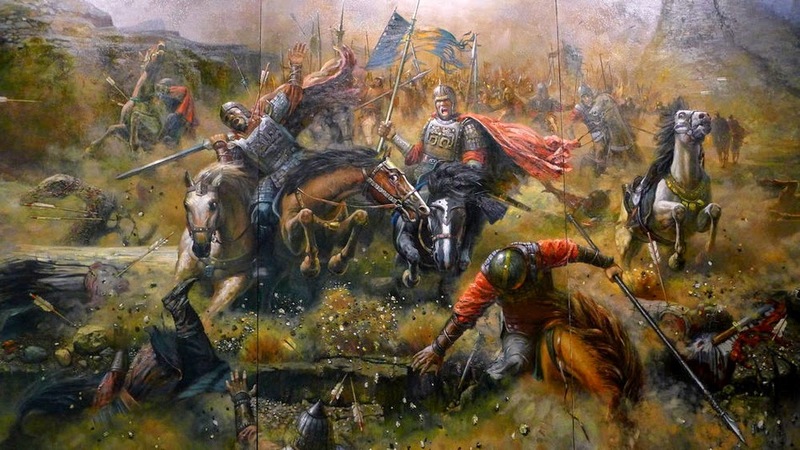 Currently, the combined armies of the Susrah are engaged against the defenders of Khor Kalba. This siege has been continuing since the death of Khalar Zym some three years past. Khor Kalba sits on the coast, southwest from Susrah. It is not uncommon for hostilities and even short wars to break out amongst the three cities of the Susrah. But, this usually dies down when the realization sets in that each of the three is stronger together, as an alliance, than they are independently. They depend on each other for trade, and when they act together, their bargaining power is stronger when they act as one in the Susrah rather than in their own interests as a single, small city state. The siege on Khor Kalba, now stretching into more than three years, has become a point of contention between the trio of cities. Zaol and Ghezath tend to band togther against Belthaar in this matter, and the two are close to going to war against Belthaar. But, King Simashattar has kept a lid on the boiling pot by capturing a princeling of Ghezath and holding him hostage, knowing that Zaol will not act alone, without the advantage of Ghezath. In addition, Zaol came to negotiate for the princeling’s release, and the silver tongued Simashattar negotiated a separate truce with Zaol, refocusing the alliance on their siege at Khor Kalba. Belthaar is a gloomy place (they worship Nergal!) of ancient foundations. Its serpentine streets wind their way between mighty monuments and hoary towers. The population averages 12,000 people. Belthaar is ruled by a petty king named Simashattar III. The army boasts 2,000 pikemen and 500 charioteers.